The Hattiesburg Public School District is a model teaching and learning community that graduates productive and caring citizens who are prepared to succeed. 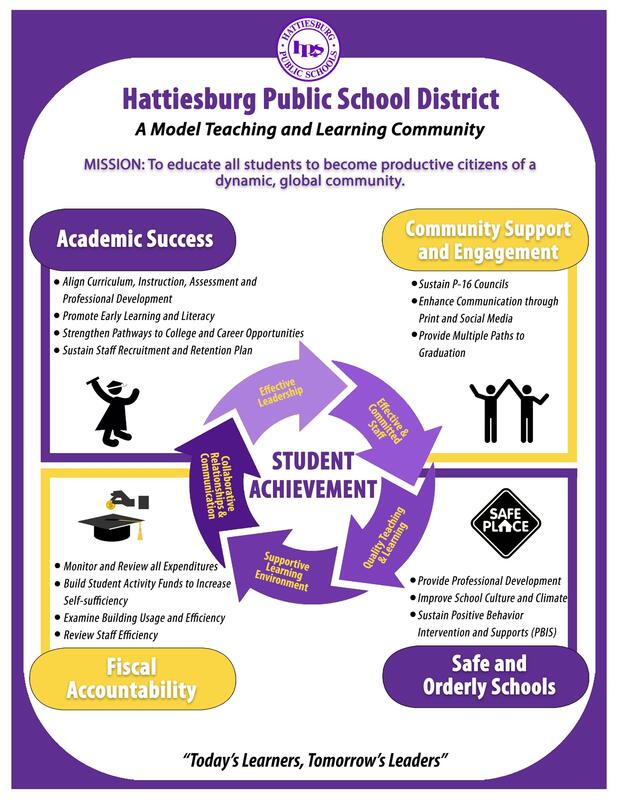 The mission of the Hattiesburg Public School District is to educate all students to become productive citizens of a dynamic, global community. 1. Academic Success: All students proficient and/or showing growth in all academic areas. 2. Community Support & Engagement: Foster community partnerships that support student achievement and school success. 3. Safe and Orderly Schools: Maintain a positive learning environment. 4. Fiscal Accountability: Maintain sound fiscal practices.